It is based on The Autobiography of Malcolm X, written by Alex Haley between 1964 and 1965, as told to him through conversations with Malcolm conducted shortly his death. Made with the help of Malcolm’s wife Betty Shabazz, Malcolm X: His Own Story as it Really Happened recounts the life and ideas of this controversial man. 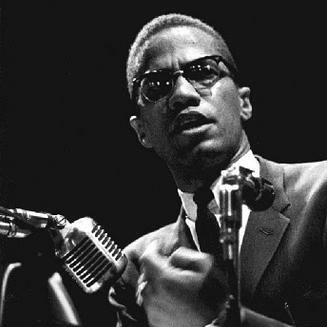 In addition to clips of Malcolm X in public interviews and speeches, numerous important civil rights figures are featured, as well as important public officials from the period. Post-screening discussion led by Jamal Joseph, Chair of the School of the Arts Film Division at Columbia University. Jamal Joseph has written and directed for Black Starz, HBO, Fox TV, New Line Cinema, Warner Bros., and A&E. His produced screenplays include Ali: An American Hero (Fox), New York Undercover (Fox), Knights of the South Bronx (A&E), and The Many Trials of Tammy B. (Nickelodeon). He wrote and directed Drive By: A Love Story, Da Zone, and the docudrama Hughes Dreams Harlem for Black Starz. He recently finished the screenplay Panther Baby for Focus Features, which he will also direct, based on his true-life experiences as one of the youngest members of the Black Panther Party. Joseph is the author of Tupac, Legacy (Simon & Shuster). He has also written the script for a Broadway musical based on the life of Tupac Shakur. He is the founder and artistic director of IMPACT, a Harlem-based youth theatre company, and executive director of New Heritage Films, a not-for-profit organization that provides training, exposure, and opportunities for minority filmmakers. Joseph is an alumnus of the Sundance Film Institute Directing Lab. He is a recipient of the American Film and Video Blue Ribbon, the Black Filmmakers Hall of Fame Competition, the NBPC Prized Pieces Award, two Silver Apples, and a Cine Golden Eagle. He was nominated for a 2008 Oscar for Best Song for “Raise It Up” from the film August Rush.